We will have general idea about point-bearing piles and friction piles in this post. In the next post we will discuss each classification elaborately. At first we are discussing point-bearing piles. This classification is based on the sources of support that brings capacity to piles. 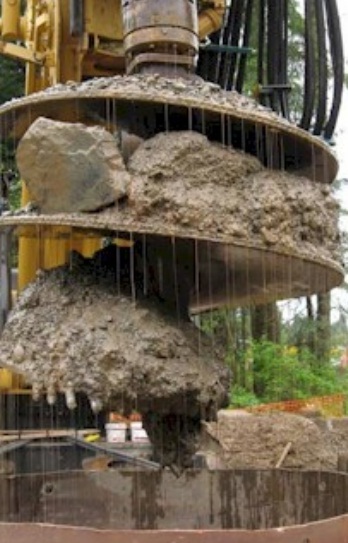 This type of pile derives support from rock or relatively strong soil in which the tip of pile is rested. There have no or little support from the surrounding soils. 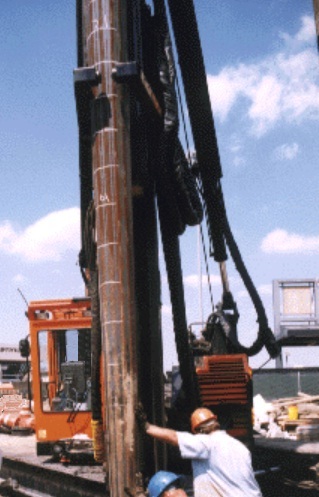 In case of friction piles, the pile derives its support mainly from surrounding soils. This type of pile provides its resistance from the shearing resistance, developed between the pile and soil i.e. lower part of the piles do not play important role or developed a very small resistance. The way we have discussed about load transmission is very simple. But actual situation is not the same, as we classified pile in two categories. In general condition the relative density and stiffness of subsoil shows an increasing trend with the depth of penetration. So in this situation piles are penetrating through upper soft layer and gradually they are confined in stiffer layers to reach required bearing capacity. This pile derive considerable amount of support from surrounding soil materials in lower portion of stiffer layers, still it derives large/ main amount of support from end bearing stratum. Thus the situation demands an actual performance of both supporting categories. In piling work and pile designing, it is matter of great importance to take right discussions for a most appropriate pile’s type to make it suitable for particular geotechnical and site conditions. Behavior of pile during driving control many discussions. So it is not possible to provide a simple or definite formula for the best guidance for an inexperience engineers. So, sound knowledge of transmitting load to surrounding and soil beneath are the invaluable asset to produce a good engineering judgment.